The Carters: Lanon Keahi's 1st birthday! 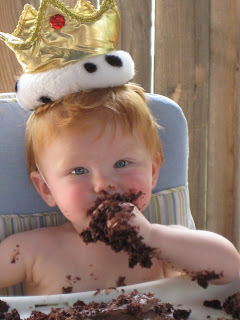 Landon Turned one this weekend on the 11th. We celebrated on the Saturday with a big birthday party. I always get nervous before throwing a party especially when there is 40-45 people coming. After being worried for the entire week before the party turned out great. 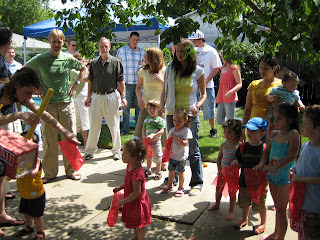 We swam, had good food, a pinata and everyone mingled and got along great. 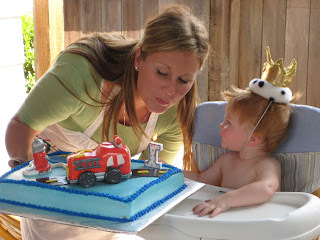 I feel so blessed to have so many great friends and family that came out to celibrate our little man turning one! It really turned out great! 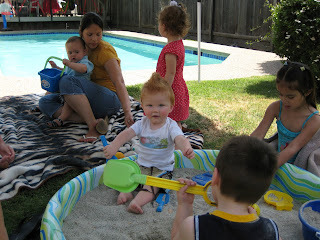 We had so much fun and we are so glad that we have had Landon in our lives for a whole year already. We can't wait for many more.